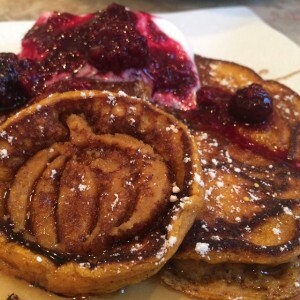 Soft and puffy pancakes with all the cozy comfort of Autumn in each delicately spicy bite! Serve warm with maple syrup and whipped cream! Note: due to the pumpkin, these are a bit more delicate than regular pancakes. Make sure your pan is heated through before beginning to cook, and adjust heat if necessary to cook fairly slowly.